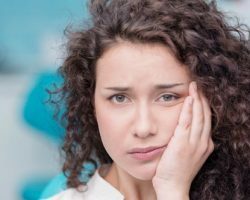 If you have a badly damaged or otherwise hurting tooth on your hands, you may be in need of what we commonly call a root canal. Contrary to popular belief, the procedure itself does not inflict any pain, but rather it serves to eradicate any pain or discomfort caused by the situation in your mouth. This is not something we take lightly. In fact, restorative dentistry treatments are a big part of what we do at both our Muscatine, IA dentist office and our West Liberty, IA dentist office. And, as our name implies, we will do everything in our power to make your procedure as gentle as possible. We understand that you are already stressed out enough, so we will make sure you get to relax for the duration of your procedure with us. Keep reading to hear more about the possibilities, and then be sure to give us a call at 563-288-2612 to request your consultation with our team. Remember, that toothache won’t magically go away on its own! Now is the acceptable time to take action. That’s all there is too it. Since we have invested in an in-house CEREC milling machine, we can make your crown in a single visit. That means that you may be able to get your infection removed and your crown placed in just one easy appointment! Plus, with relaxation dentistry, we can relieve any anxiety that you may have when you get here. It really is no big deal. And when you think about the pain you are already living with, or the other bad things that could unfold if you choose to do nothing, a root canal is the easy way out! We hope you have been inspired to let us save your smile from the worst possible fate! Call Gentle Family Dentists at 563-288-2612 or fill out our online form to request a root canal consultation appointment in our Muscatine or West Liberty, IA dental office. To make it easy on you, we accept a variety of payment options and offer some flexible hours that the nine-to-five dental offices don’t.